Thanks to options like Right Proper Brewing Co. and DC Brau Brewing Co., world-renowned beer bars and a thirsty drinking public, the beer scene in the Nation’s Capital is thriving. Take part in celebrations from special beer releases and cask tappings to this year’s big event, Brewers on the Block at Suburbia at Union Market, with 20 area breweries. The U.K.’s biggest beer fest, presented by the Campaign for Real Ale (CAMRA), is a must-visit for any real ale aficionado. The five-day event features more than 350 British breweries and 10 brewery bars, serving classics and limited-edition specials, as well as a spread of ciders, perries and international beers on cask. 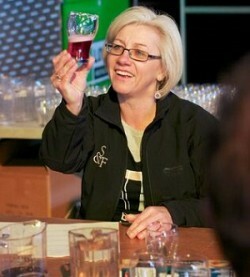 A two-day party in the capital city of Wellington, New Zealand’s top beer fest features more than 200 beers on tap, plus educational extras like a HomeBrew Master Class and Beer & Cheese sessions. This year also sees the official launch of a trade show session and industry meet and greet on Aug. 13. 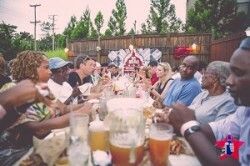 Upland Brewery of Bloomington, Indiana, hosts a weekend camping, cycling and beer-ing experience at Camp Rancho Framasa, where you can take a road cycling trip, challenge yourself with a mountain bike tour of Southern Indiana’s hills or just come for the s’mores and campfire tunes. Either way, great beer is guaranteed. Part festival, part fundraiser, the ShakesBeer Festival brings the Bard and beer together with a spread of Connecticut, New England and American breweries—all while raising money for the restoration and reopening of the American Shakespeare Theatre in Stratford, which has been closed for nearly 30 years. 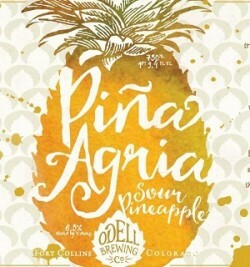 Sweet and sour unite in this bottle-conditioned sour pineapple (piña agria) ale from Odell, thanks to subtle sweetness from the malt and pineapple combined with a tart acidity and background Brett character. It finishes like a SweeTart. New Belgium is bringing the farmhouse ale from the fields to the table with a hoppy twist. Munich, pale malt and rye grains lend notes of toasty, spicy bread to this Belgian-inspired saison, and Nelson Sauvin and Chinook hops give it a citrusy, juicy boost. Available in 12-ounce bottles, perfect for tableside sipping. Pumpkin gets the Belgian treatment with the latest autumn release from Sam Adams, a pumpkin saison brewed with Samuel Adams’ two-row pale malt blend and Carafoam malt, plus East Kent Golding and Fuggles hops. 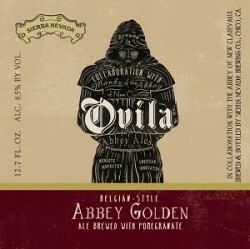 The Ovila series puts a spin on the traditional Belgian-style abbey ale by highlighting, whenever possible, local ingredients grown by the monks at the Abbey of New Clairvaux in Vina, California. The latest fruit-infused collaboration is a Belgian-style golden ale brewed with abbey-grown pomegranates.